Carriers in 2018 regained increased revenue and profit during a tumultuous year including tariffs, congestion, and capacity constraints. CPC tracks multiple modes to gain insight of the health of the transportation industry. Below shows the revenue and profitability of UPS, FedEx, Maersk, and YRC. All 4 showed significant gains YOY. Also, additional news snippets are included. *FedEx fiscal year June-May. Fiscal year 2019 Q1 & Q2 are reported. 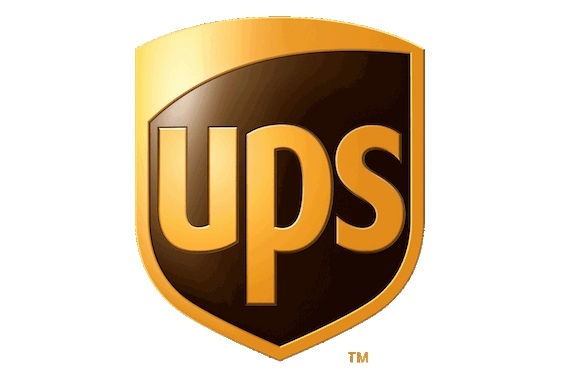 UPS - 2018 revenue increased by 7.9% which was paced by shipment growth and a 4.3% increase in revenue yield gains. "We achieved our 2018 adjusted earnings-per-share goal by successfully executing Transformation investments and initiatives that lifted revenue quality and improved efficiency," said David Abney, UPS chairman and CEO, in a statement. "Our diverse portfolio, global footprint and flexible network position UPS for profitable growth in 2019 and beyond." Jerry Hempstead, president of Hempstead consulting, stated that similar to 2017, package pricing and yield were essential to earnings expansion in 2018. "This means there are higher costs to ship a package," he said. "UPS appears to be emboldened by their success to turn up the price. They had a record quarter (which has been verified by third parties), but the fact that the weather was mild and free of major storms particularly over the ten days before Christmas facilitated their success." UPS CFO Richard Peretz stated that the company plans to produce large increases in operating profit across each of its business units for 2019. FedEx - Amazon is increasing air fleet capacity but FedEx is not flinching. As Amazon's shipping capacity rises, its dependence on FedEx, UPS and the U.S. Postal Service declines. This will create issues for these partner organizations. But FedEx's senior vice president of integrated marketing, Patrick Fitzgerald, said he's not concerned. "We honestly don't see a world where Amazon would be a competitor to FedEx," Fitzgerald said, because, "there is no sensible way to compare them." Fitzgerald pointed out that FedEx has 700 planes, while Amazon only has 40. "Even losing Amazon's business wouldn't be that big a deal for FedEx," said Fitzgerald. "Amazon is a longtime customer of ours. We're proud of the partnership, but they're not our largest customer. We actually recently specified that they represent less than 1.3 percent of our total revenue for 2018." Fitzgerald said. "For our competitors, the percentage of revenue from Amazon is significantly higher." Maersk - Maersk built the foundation for its future business in 2018. As a result, revenue increased by 26% from 2017 and the net interest-bearing debt was considerably lowered. The company has been working on transitioning into an integrated and focused company leading the transportation industry from once a diversified corporation with individual business units in different industries. YRC - "Our results in the fourth quarter and over the course of 2018 demonstrate successful execution against a plan focused on yield achievement, capital investment of our revenue equipment and the reduction of short-term rental costs and expensive local purchased transportation," stated Darren Hawkins, chief executive officer of YRC Worldwide. "Pricing discipline and favorable economic trends remained strong in the fourth quarter, resulting in year-over-year growth in operating revenue, operating income, revenue per hundredweight and revenue per shipment, both including and excluding fuel surcharge. "Throughout 2019, we will continue our intense focus on yield and investments in revenue equipment as we are committed to improving consolidated operating margins. The progress on our overall liquidity and leverage position provides a strong backdrop for our growth story in 2019 and beyond." Articles from investors.ups.com, investors.fedex.com, investor.maersk.com, & investors.yrcw.com. In 2018, it was a Carrier's market and Shippers without contracts with Carriers were dealt double digit increases in freight expense. Spot Quote capacity shrunk and many shipper's were left without capacity to run their business. CPC clients who had contracts in place were not impacted with rising costs nor shortage of capacity. 2019 is starting off strong, so it makes sense to create contracts with carriers.